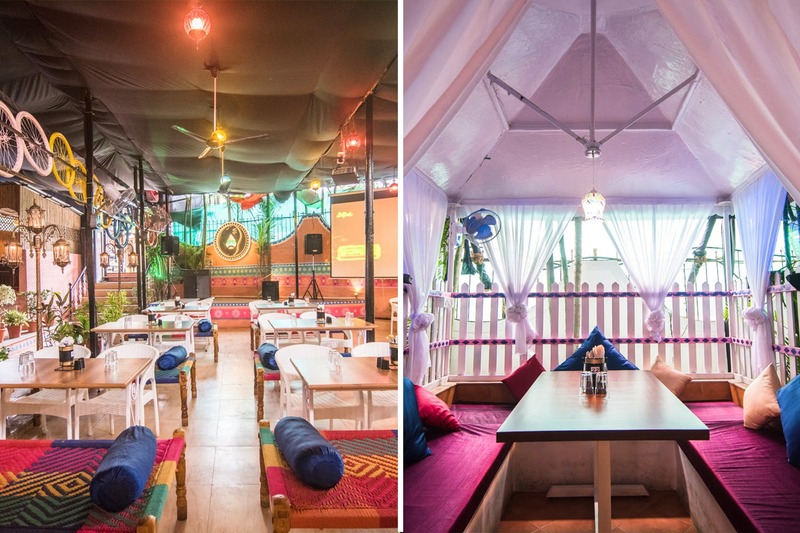 Kohli's Firangi Dhaba is a new, quirky, open-air restaurant in Hinjawadi that's serving the most delectable, soul-satisfying North Indian food we've had in a long time. Located opposite KPIT, Kohli's Firangi Dhaba comes as a great relief for all those homesick North Indians. The ambience, as you can imagine, looks like a highway dhaba with charpais, a separate cabana section, whimsical Punjabi graffiti and a massive red truck right at the entrance. The space is very colourful, very cheery and definitely worth your penny. The food at Kohli's is simple, traditional yet has a certain nostalgic value to it. We loved their paneer pahadi kebabs, zesty lemon fish, sharabi murg tikka spiked with vodka and the scrumptious mutton rogan josh. For desserts, must try the shahi tukda and rabdi combination. The staff out here is extremely courteous, however, we felt the service was tad slow. Although we didn't try it, we hear the biryanis are quite the bestsellers at Kohli's.